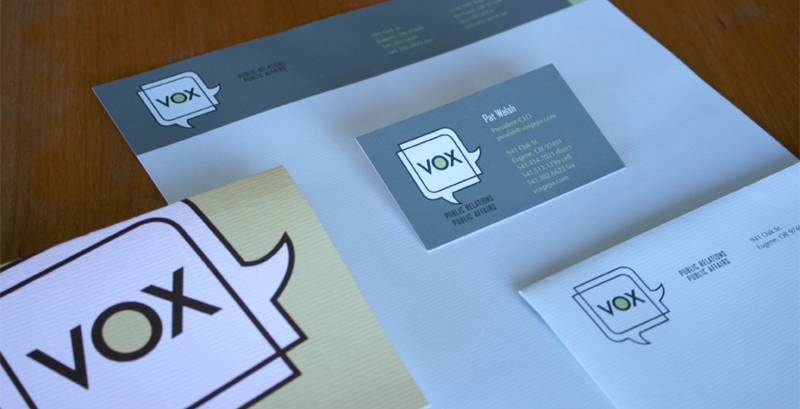 We helped Vox Public Relations/Public Affairs (offices in Portland and Eugene) explore the potential of moving from a founder name to an emotive name and designed an international award-winning identity that illustrates the concepts of dialog, relationships, and social media. The Ulum Group, a public relations and public affairs practice with offices in Portland and Eugene, was a legacy organization looking for a strategic rebrand. The firm had changed ownership and leadership several years prior, and the current CEO felt like it was high time for the firm to be building its brand around its body of work and talented team, rather than its historic founder’s name. At the same time, the new name needed to be powerful and recognizable, transferring the firm’s many years of reputation and brand equity forward. Knowing the importance of strategy, positioning, and competitive analysis through its own public relations work, the group had already commissioned some market research and developed some future-thinking strategy. They had also started internal discussions around their unique way of delivering service and value. But they needed help in guiding the strategy for translating all that into a new name and a new logo. We reviewed their strategic documents and conducted interviews with the CEO and key personnel, and then invited all of the staff to participate in some creative exercises that would help us to evolve a distinctive, but accurate identity. Understands business and knows that value and results make the difference! We discussed the different forms company names take and their impact on recognition, trademarking, URL selection, etc. After defining what we were targeting, we conducted a naming process that resulted in a brief with five communications-oriented name options, rationales, pluses and minuses, and an early review of availability via Google, trademark, and URL searches. 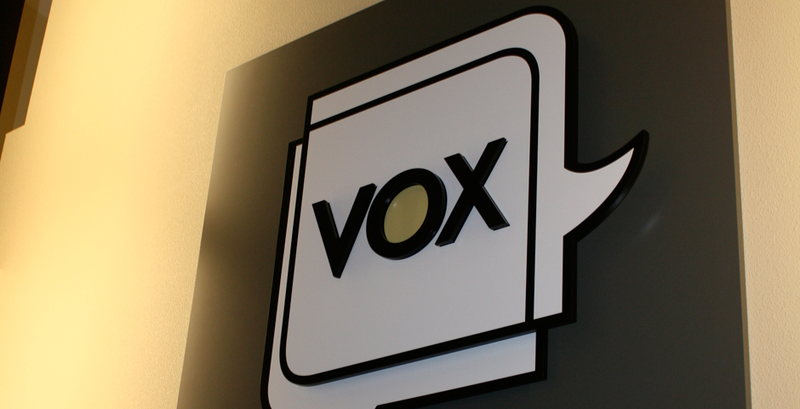 Interestingly, the momentum of the creative ideas and issues identified in the brief prompted the firm to throw another round of their own creative ideas into the mix and put forward a front-runner, Vox…Latin for “voice.” It was a valuable lesson for our team, because “vox” had come out of our early-stage “root word” brainstorms, but had been self-selected out for various internal strategic concerns that were ultimately of little concern to the client. Good ideas can be hard to kill, and we were pleased to see this one take on a new life. 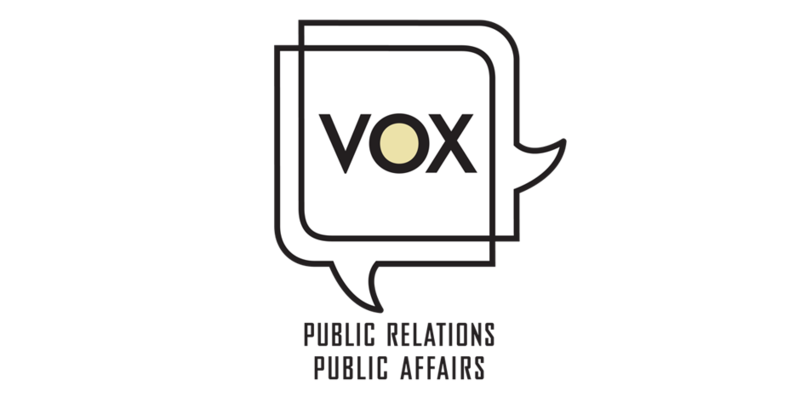 We let the logo design grow out of the name itself, illustrating not only the concept of providing clients with a voice—a key concept of PR—but also the idea that public relations and public affairs are by necessity a dialogue, both between the client and agency, but more importantly between the client and the public. The overlapping conversation bubbles allude to shared understanding and give a nod to the visual vocabulary of social media, which was becoming a critical part of the firm’s work.